Ric Flair's getting roasted on May 24. 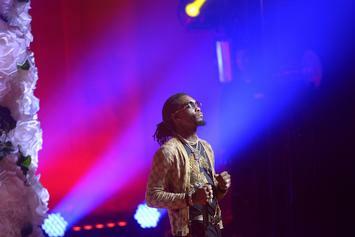 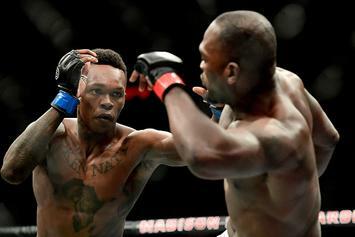 Offset Gets Lost In The Sauce On "Hot Ones"
Offset mentally prepares for "The Last Dab." 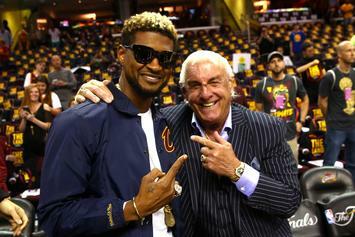 Batista crashes Flair's 70th birthday bash. 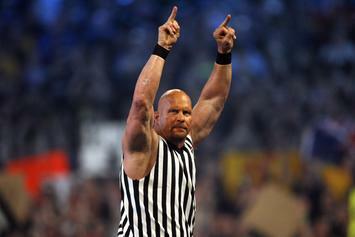 Chris Hemsworth as Hogan and Bradley Cooper as Flair? 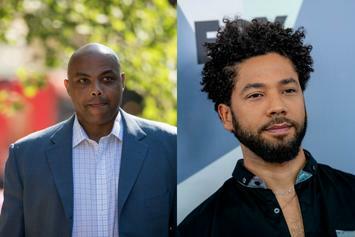 The basketball great sounds off on the recently-fired "Empire" cast member. 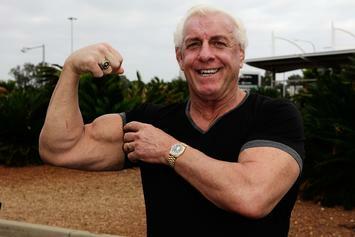 Revisit ten of the backstage moments that rocked WWE and pro wrestling to the core. 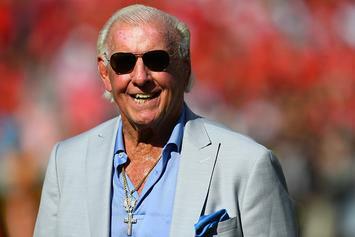 A stylin', profilin' birthday bash planned for next Monday in ATL. 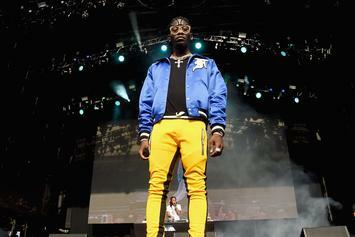 Offset & Metro Boomin continue to reap the spoils of "Ric Flair Drip." 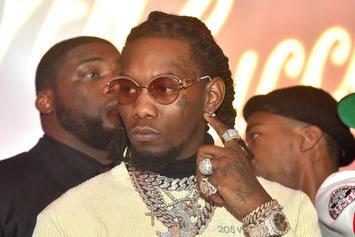 Ric Flair Says Offset Will Vouch That He Originated The Term "Drip"
The Nature Boy is taking responsibility for the "drip" that has taken over the rap game. 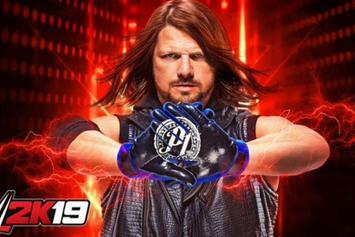 Check out the latest WWE 2K19 trailer. 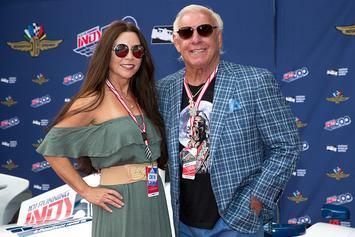 Ric Flair Marries For The Fifth Time, Walks Down Aisle To "Ric Flair Drip"
Watch footage from The Nature Boy's wedding day. 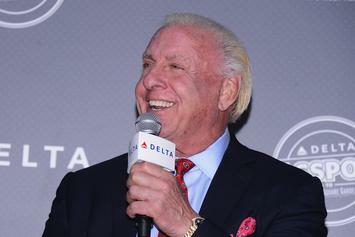 Flair, Saquon Barkley, KAT and Zlatan to be featured in10th anniversary Body Issue. 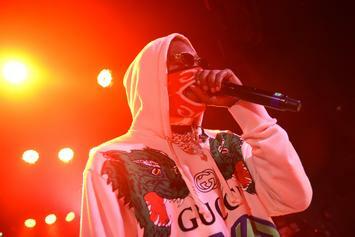 Watch Offset & Metro Boomin perform their "Without Warning" collab "Ric Flair Drip" on Jimmy Fallon. Ric Flair continues his roll; will lend his savoir faire to a film about the Wrestling Business. 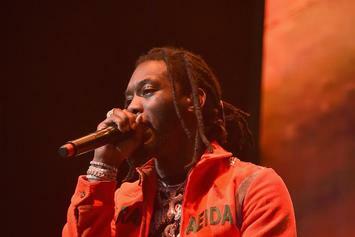 Ric Flair Dubs Offset "A Phenomenal Young Man"
Ric Flair opens up about working with Offset on the "Ric Flair Drip" video. 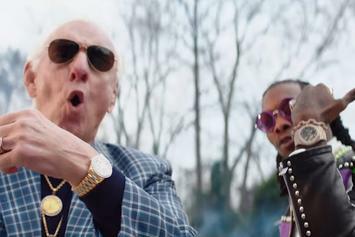 The "Ric Flair Drip" is real. 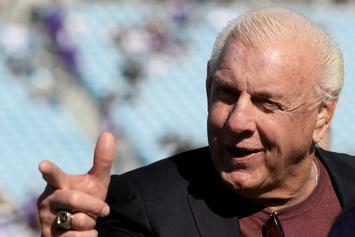 Ric Flair Details Near-Death Experience: "I Had Been Drinking...Shocker"
Flair opens up about his hospitalization. 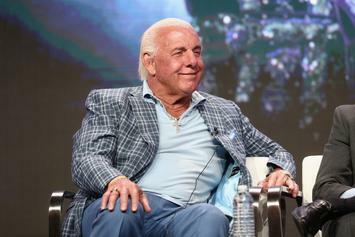 Ric Flair tells all in ESPN's "Nature Boy" 30 for 30.